If you are applying to the round 4 of Hot DesQ program with Advanced Queensland this blog post is for you. Hi guys, it’s Pauline from HigherEdMe. HigherEdMe has started a very special adventure this week. It is our 5th day in Australia today. Still a bit jet lag but not that much anymore. With Pierre-Alexandre we have decided that we had to take a little early pick of our future workplace (AKA Fishbrunners). The real introduction will be tomorrow so I won’t tell you more about it. But you can see with the picture above that from the entrance the place is more than nice. This morning and yesterday were all about QODE. QODE is about AI and new technologies. 50 startups are here to show their projects/products and there is a lot of meetings happening too. Thanks to Hot DesQ and of course Advanced Queensland we were able to pitch our project yesterday. It was already the 2nd time I pitched in Australia in English. I managed to gain in clarity in 3 days. @QODE Brisbane 2019 is coming to an end but were already looking forward to 2020! To summarize on what we have done until now besides meeting amazing people. It was for the majority learning how to set up and do business in Australia, fill up several administrative forms. How to create a company in Australia? First thing first: at the moment you can count on a place to receive mail ask for a Tax File Number (TFN): It’s a very simple form you can fill online directly. You can learn more about it and fill the form here. Beware of non-official links. It will take you 28 days max and only 2 weeks to get it if you are lucky (learned it from a previous startup). Your TFN is mandatory for several actions, for personal purpose and for creating a company, so you won’t skip this. The 2nd thing to do or maybe it’s even a thing to start before landing, is to look for an Australian director. When creating a company in Australia, you will need at least one director with a resident status. Some accounting companies offer this service but it’s quite expensive. I invite you to dig about this by yourself in order to find the best solution for your future company. Obviously, you will need very quickly an Australian phone number, you can buy sim cards at a lot of places. So no worries about this point. Here we are at the moment. I will let you know in the next post how it’s going on for us and what to do next to set up an Australian company. Besides the hot weather (not if you ask the locals, they all saying that it’s fresh) nature is pretty amazing, everywhere in the city you can always see really big green plants and flowers. Birds are very present and it’s not our usual pigeons. My ‘wow moment’ award goes to the sand beach near the river in the center of the city. Conclusion: Totally happy to be here. Not as many spiders as I thought (good news actually, and for the moment) A lot of work done and a lot more to do. 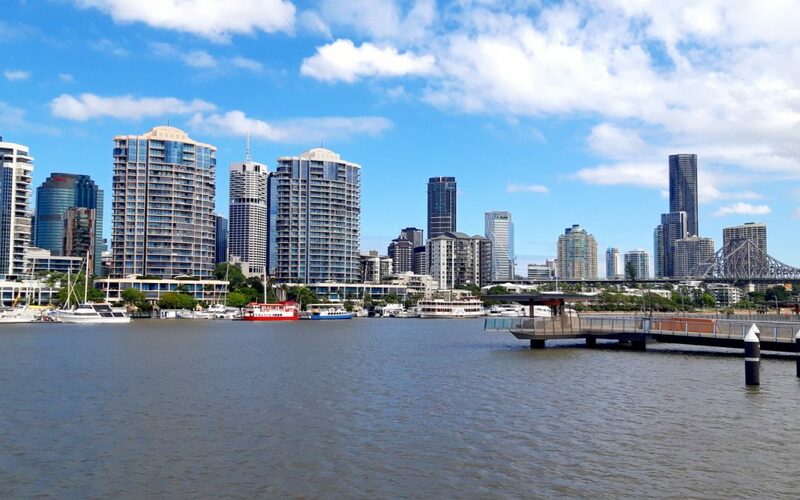 Next episode: Transports in Brisbane, discovery of some Brisbane’s districts, and of course, comments about our new work environment at Fishburnners.